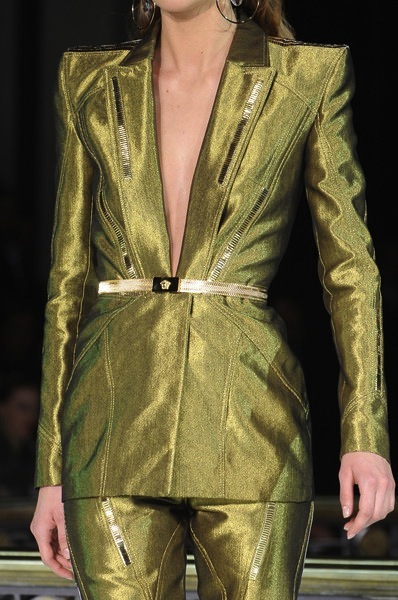 Donatella Versace presents a HAUTE-COUTURE SPRING 2013 Collection that consisted of gowns, pantsuits and coctail dresses. Donatella brings in fur, sequins and pinstripes in bright pink to metallic gold. The pieces are handmade which allows of one of a kind garments. The garments feature intricate and refined craftsmanship of Haute-Couture.